The fact that the US Senate voted for Montenegro's admission into NATO is a sign that "they want everyone to be a part of evil," Marko Milacic, representative of the Movement for Neutrality of Montenegro, told Sputnik. In an interview with Sputnik, Marko Milacic, a representative of the Movement for the Neutrality of Montenegro, said that the US senators voting in favor of Montenegro joining NATO indicates that "they want to erase the boundary between the good and the evil." On Tuesday, the US Senate approved Montenegro's bid to enter NATO, citing the necessity to thwart Russia's influence in Europe. In late February 2017, the UK mainstream media reported that a senior official in the British government suspected Russian intelligence of plotting a coup in Montenegro back in October 2016, during the country's parliamentary elections. — Oana Lungescu (@NATOpress) 31 марта 2017 г.
Montenegro's national special affairs prosecutor Milivoje Katnic echoed the claim, but no credible evidence has yet been presented to confirm Moscow's involvement in the alleged plot. "The fact that the parliament of the country that bombed us voted for allowing us to enter the alliance which also bombed us is quite understandable. They want everyone to be a part of the evil, thereby erasing the boundary between the good and the evil, as well as between those who bomb and who are bombed and between an executioner and a victim," Marko Milacic told Sputnik. All those senators who voted for Montenegro's NATO accession admitted that it was mainly a message to Russia rather than a decision related to Montenegro, according to Milacic. "I wonder how they feel about agreeing to the role of the 'truncheon', something they even boast of. I'm talking about Montenegrin authorities. Our country experienced many 'NATOs', such as the Ottoman Empire and the Austro-Hungarian Empire, among others. The struggle against the occupiers and attempts at a new annexation are just beginning, and this is the task that should be resolved by society as a whole," he said. Milacic added that "a sense of national dignity" should now come to the fore" and that the main task is "to force the authorities to accept the fact that a decision on Montenegro joining NATO should be taken by ordinary people, given that 84 percent of the country's population are for a referendum." He recalled that even 68 percent of those who support the country's entry into NATO are in favor of holding a referendum. In this regard, "protecting the interests of this majority will be the defense of democracy," according to Milacic. "The US Senate ratifying the protocol on Montenegro's NATO accession is nothing but a ratification by one of the alliance's 28 countries. The most important state, which should say 'yes', has yet to do so," he said, referring to Montenegro. 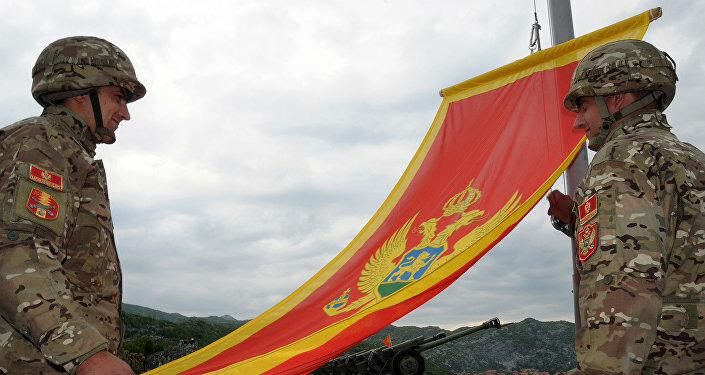 Speaking to Sputnik on February 20, Montenegrin political journalist Matija Nikolic explained that Podgorica was pointing the finger of blame at Russia to accelerate the process of Montenegro's accession to NATO. The crux of the matter was that the Montenegrin government feared that the Trump administration could have rejected the country's NATO bid. 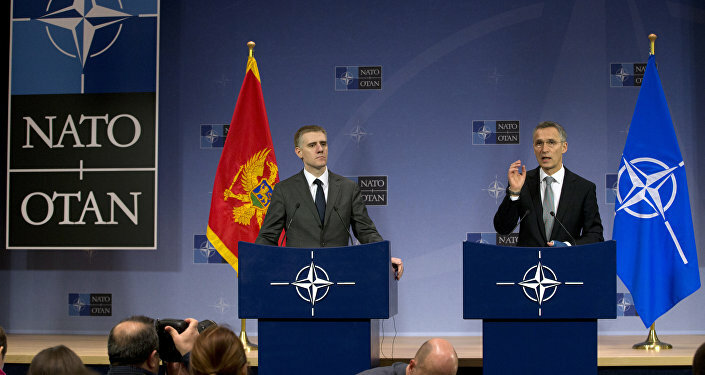 In mid-March, NATO Secretary General Jens Stoltenberg stated that the attempt to stage a coup in Montenegro serves as an argument for the country to join the Alliance. It is no secret that Moscow opposes the eastward expansion of NATO, citing growing security concerns. Montenegro's accession to NATO threatens to destabilize the region, Russian ambassador to Serbia Alexander Chepurin told Sputnik, commenting on the US Senate vote. "Attempts to push several Balkan nations to NATO, to change their genetic code, without asking the people's opinion — are the issues that destabilize the situation in the Balkans," Chepurin emphasized.